The Norwegian NMR Platform is a national infrastructure platform, hosted by the Department of Chemistry, University of Bergen, in collaboration with UiO, NTNU and UiT. 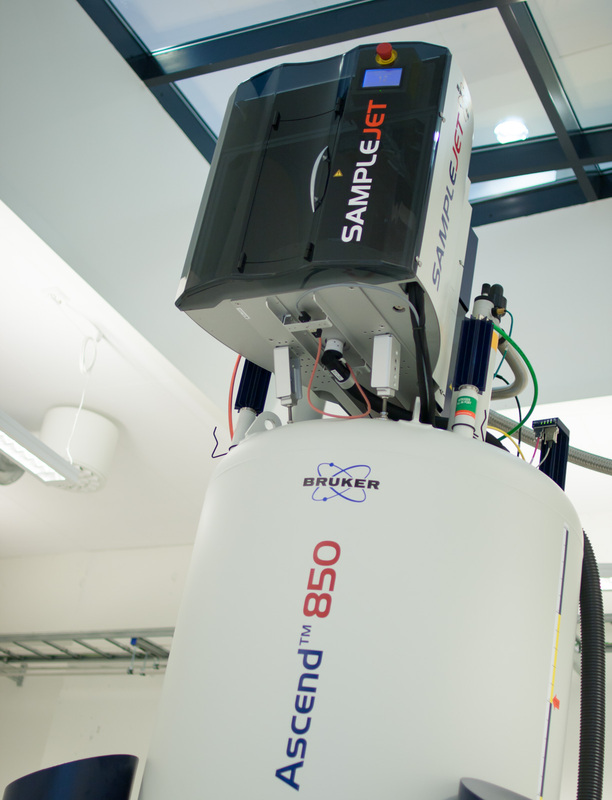 The main purpose of NNP is to provide access to modern, high-field NMR spectrometers for researchers and industry in Norway. The instrumentation consists of one 850 MHz at UiB and two 800 MHz spectrometers at UiO and NTNU. The 800 MHz spectrometers at UiO and NTNU were installed in the Autumn 2015, while the 850 MHz at UiB was installed Spring 2016. The package also includes several lower field spectrometers, not administered by NNP, at the four universities. In October 2017 the NNP instrument park was expanded with the installation of a new 600 MHz spectrometer in the NNP building at UiB. The spectrometer was funded by Bergen Research Foundation, Sparebankstiftinga Sogn og Fjordane, Helse Bergen, and University of Bergen. J. Wåhlander et. al, Monatsh. Chem. E. Madland et. al, Biomol. NMR Assign. Y. Kitaoku et. al, Biomol. NMR Assign. Y. Feng et. al, Plant Mol. Biol. M. S. M. Holmsen et. al, Chem. Commun.